The K88H is a Smartwatch, which is on the one hand quite reasonably priced and yet on the other hand brings the most important functions, featuring a Smartwatch. What is expected are happy owners of the iPhone: you can work well with Apple’s Smartphone. At the K88H, a processor has been installed by Mediatek. 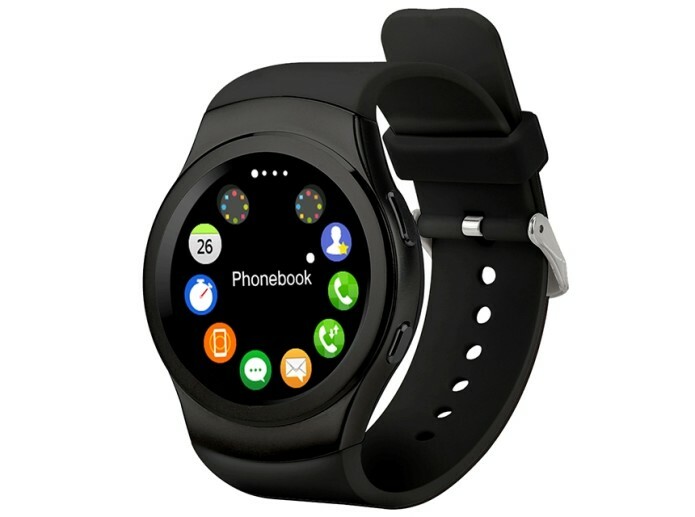 More specifically, it is the MTK2502C, which is the basis of the Smartwatch along with Bluetooth 4.0. It is designed to work with iPhones and Android smartphones. The screen is round and 1.2 inches in size. 240 × 240 pixels are represented on it. The clock is otherwise waterproof to IP54. The K88H with 64 MB of RAM and provides a set of functions that are predominantly made available via Bluetooth. So you can make calls and receive, scroll to the phone book, read SMS, trigger the camera or remotely control the music. Also you can view notifications on the clock. On the iPhone, you can activate with the Smartwatch Siri. In addition, the K88H offers fitness functions. So she can measure the pulse, counting the last steps, remember that you should from time to time to get up and move and monitor sleep. The battery is specified with a capacity of 300 mAh. As a system requirement is 4.4 Android or iOS 7.0 or each new need. Both iPhones and Android devices we recommend the installation of the FunDoWear app, with all functions of the clock can be used. The K88H is currently on sale at the online shipping trade. It costs Only 52,59 dollars, which is equivalent to a price of 47,10 eurothere. It is therefore time to take a step into the world of the clever wrist watches.